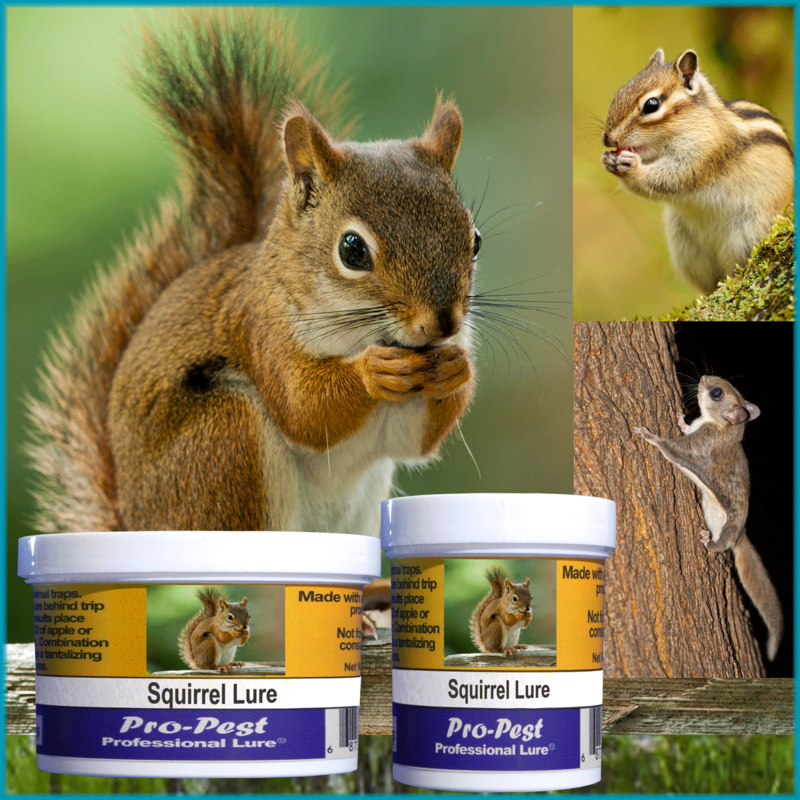 Pro-Pest Professional Nuisance Wildlife Lure for Squirrels, Flying Squirrels and Chipmunks is made with 100% food grade ingredients including various nut and fruit oils that squirrels, flying squirrels and chipmunks love. 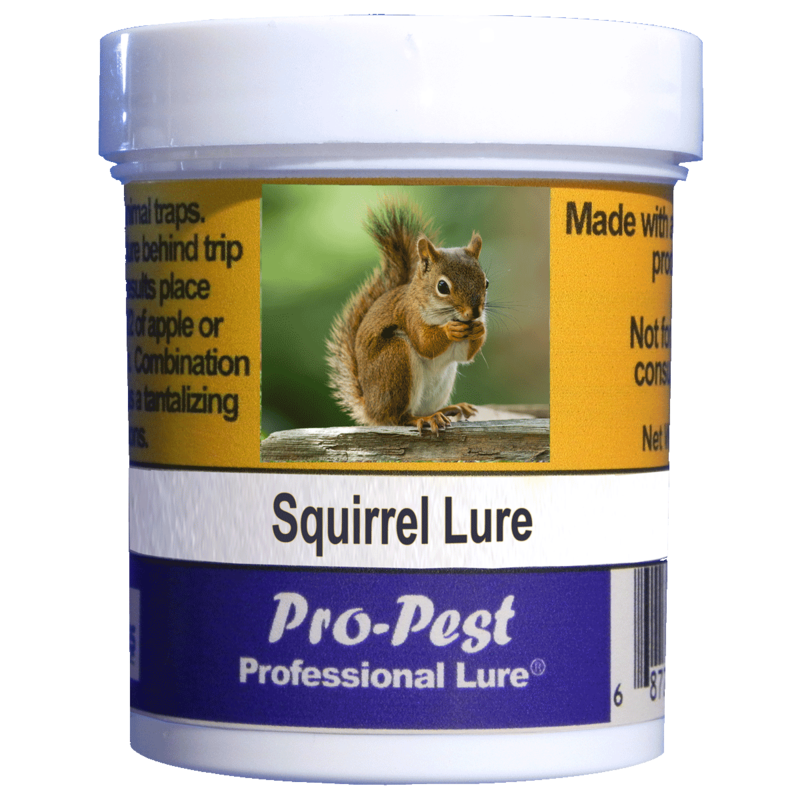 For Squirrels, place 1/2 to 3/4 oz of Pro-Pest Squirrel lure behind the trip pan of a live animal trap. To enhance catch results, include a visual by applying lure to a slice of apple or partial ear of corn. 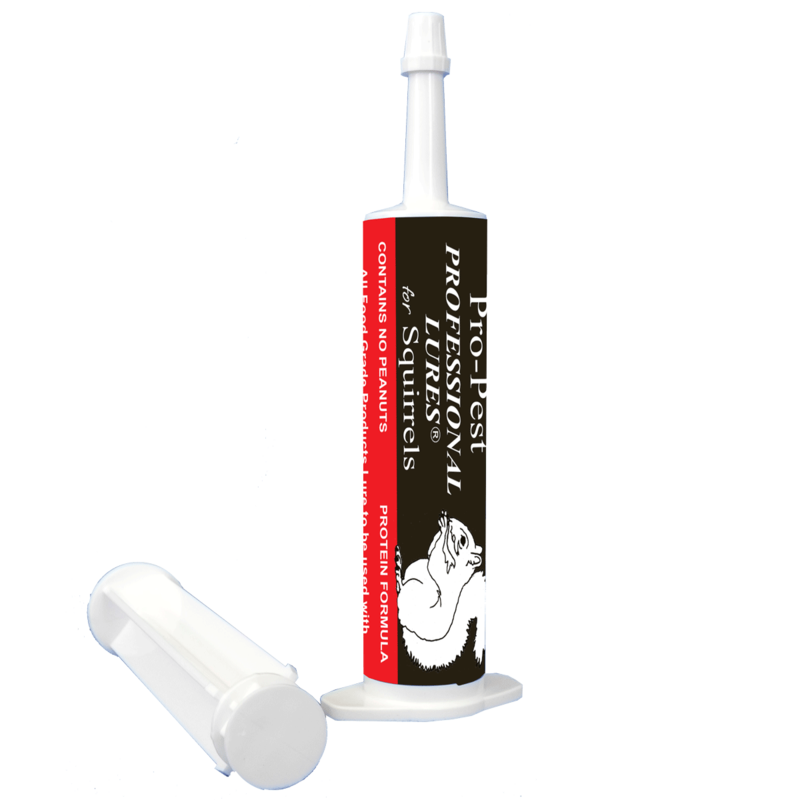 For Flying Squirrels, Ground Squirrels, & Chipmunks, our lure can be placed on a rat snap trap or live animal trap. 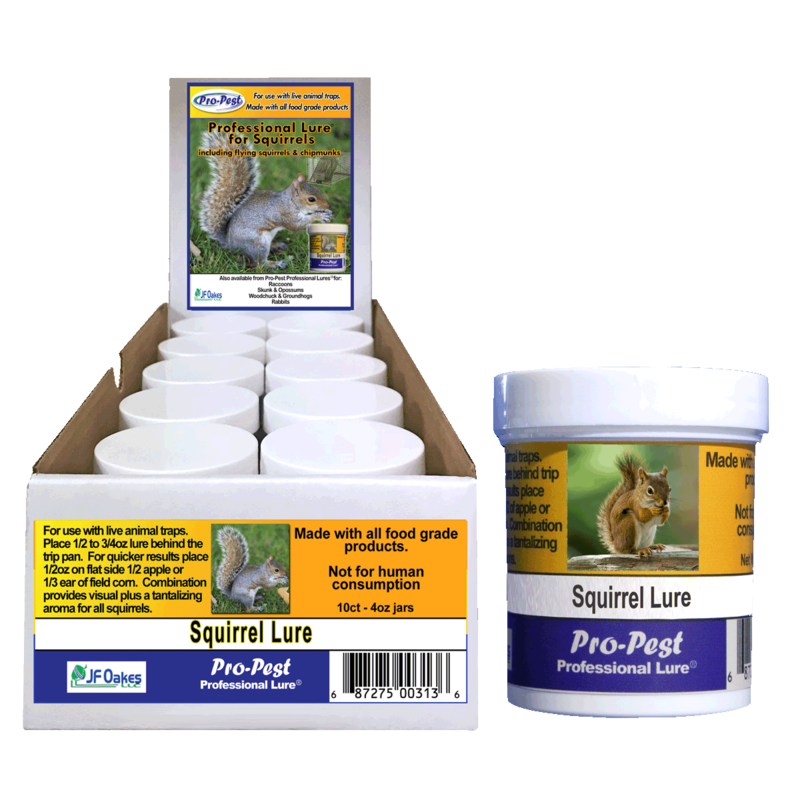 Rat Snap Trap: Place 1/4 – 1/2 oz of lure in the bait cup/trigger of a clean rat snap trap. 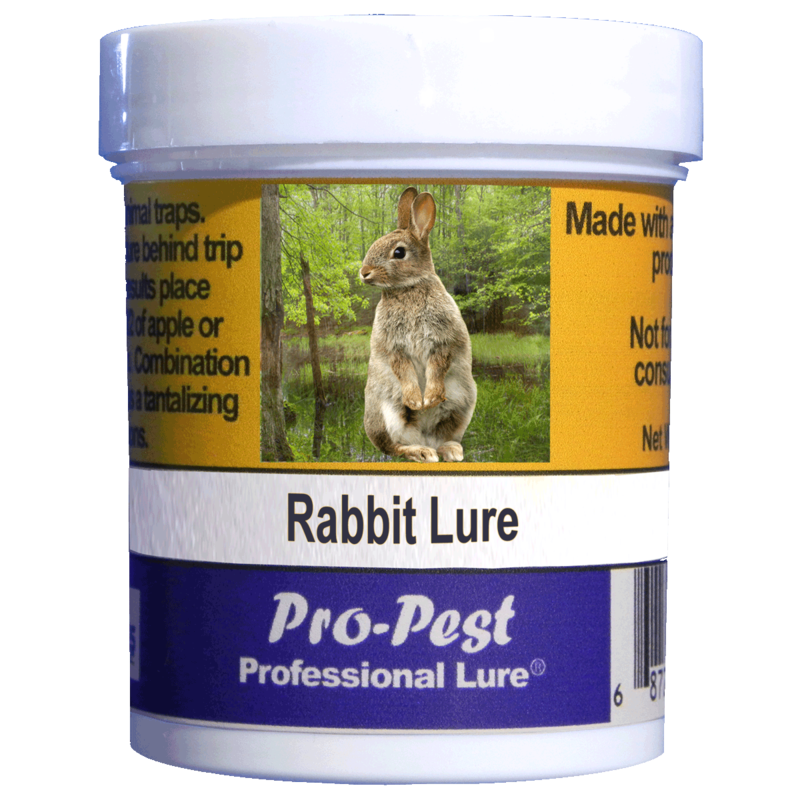 Live Animal Trap: Apply 1/2 – 3/4 oz of lure on a cracker and place behind the trip pan of a live animal trap. 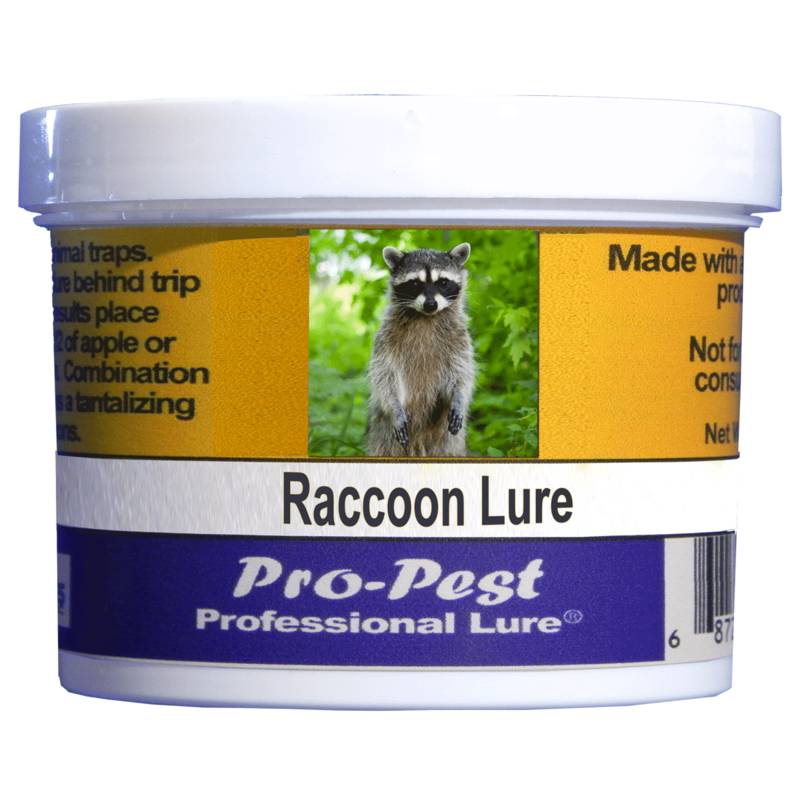 For added visual appeal and attraction, add some shelled/cracked corn, sunflower seeds or hulled peanuts inside live trap. DO NOT USE FOR California ground squirrels until the annual plants begin to dry up and produce seed.